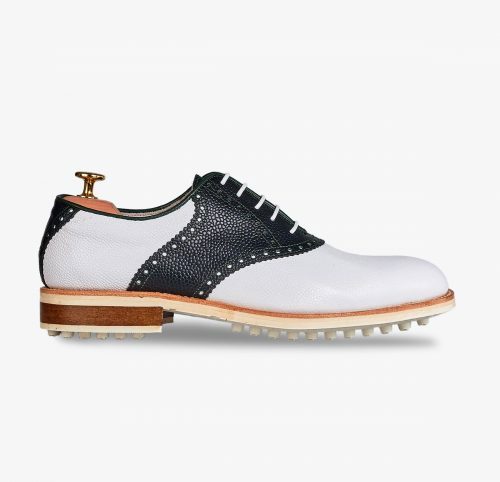 Exclusive laced golf shoe, made of engraved bovine leather combined in white and green. The high quality of the leather guarantees durability and impermeability. Finished with a breathable latex sole with sharp points, offering lightness, cushioning and support, for use both on and off the golf course. The classic design makes it an elegant shoe. Made of Goodyear Welted stitching. 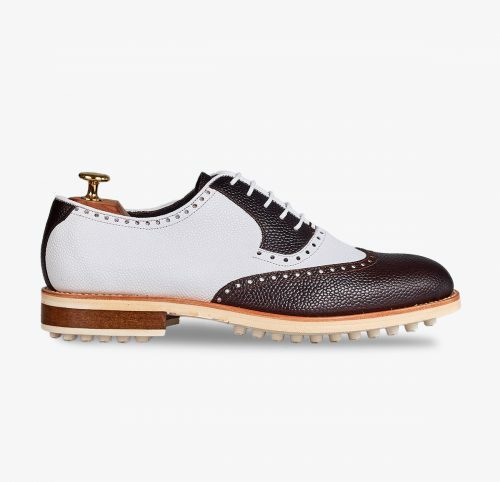 Wingtip Oxford-style golf shoe, made of white and brown engraved bovine leather. Its classic design makes it an elegant shoe. 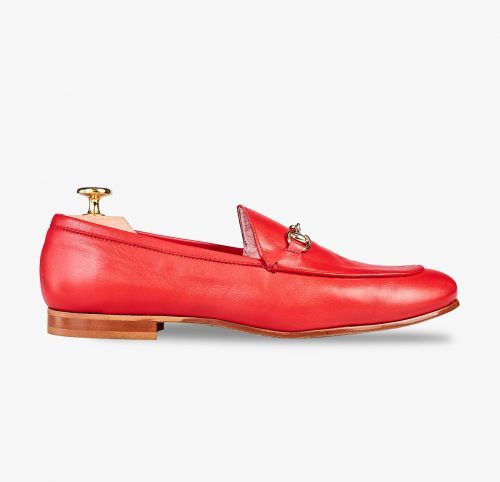 Elegant moccasin, slipper style made of red leather with gold metal decoration. Finished with leather sole and pink bovine leather lining. Its classical style represents comfort as well as elegance. 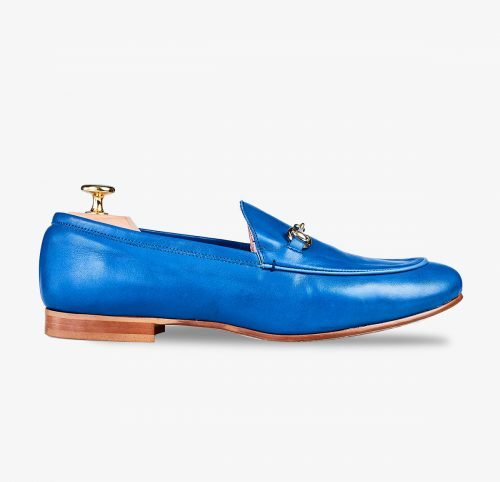 Elegant moccasin, slipper style made of navy blue leather with gold metal decoration. 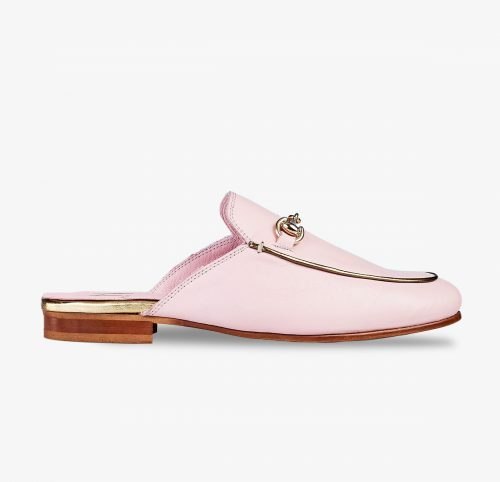 Slipper style shoe made of pale pink leather. With metal decoration and gold top trim. 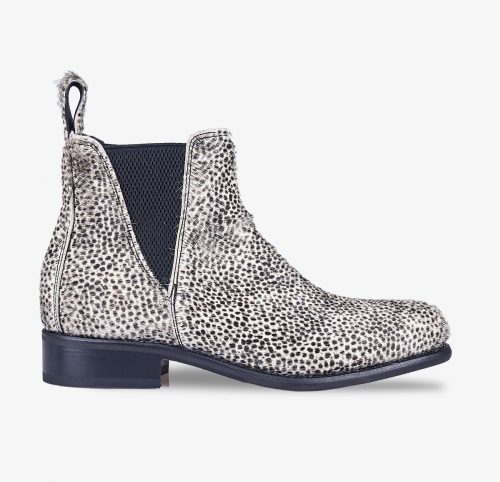 The perfect option for a casual, elegant and comfortable style. 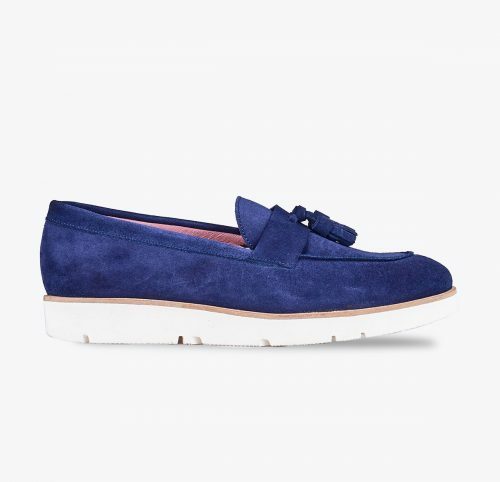 Moccasin adorned with fringes and tassels, made of pacific blue suede leather. Lined with pink bovine leather. Finished with a rubber sport sole featuring tiny holes providing lightness and comfort. The perfect shoe for the summer season and your everyday look. Moccasin leather shoe with tassel decorations finished in antic Sirach. Lined with black bovine leather. Finished with a thin rubber sole for greater durability. The classic style provides both comfort and elegance. 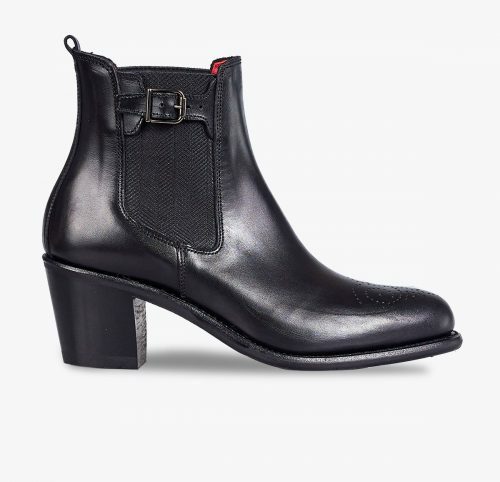 Half-boot with elastic strip and buckle decoration made of black box-calf leather. Finished with a 6-cm heel, red bovine leather lining and rubber and leather sole, providing both elegance and comfort. 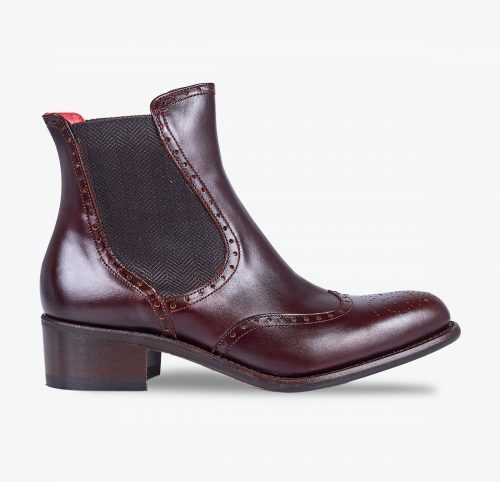 Elastic Wingtip half-boot, Chelsea style with decorations on the toe section. Finished with full-grain chocolate coloured bovine leather. The elastic strips on both sides guarantee the greatest comfort, also making it easier to put the shoe on and take it off. The perfect design for an elegant, relaxed and casual style. 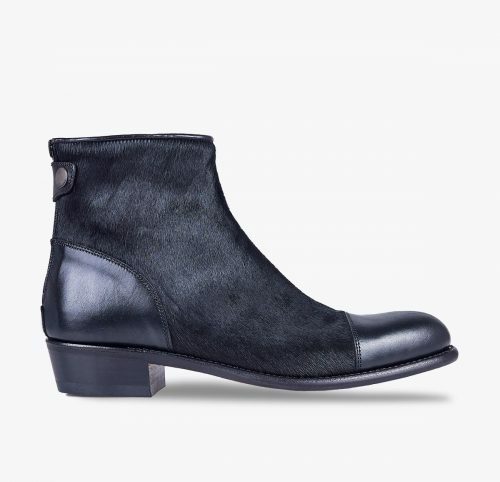 Stylish ankle-boot designed using a modern combination of box-calf leather and black pony leather. It features a back zip and a reinforced fastener on the top part. A creation that combines great comfort and elegance. 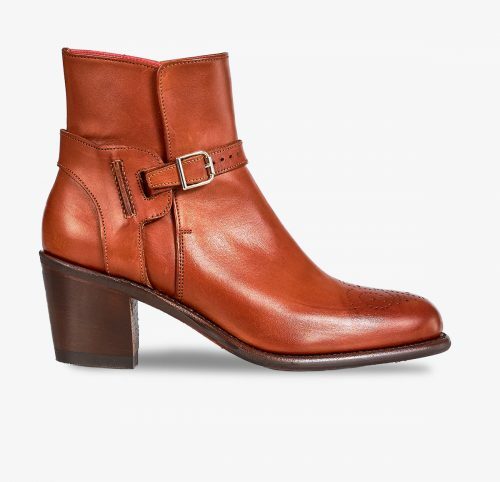 Elastic half-boot made of Barbados pony leather. Lined with black bovine leather and finished with a leather and rubber sole.